Clients in Vancouver and Victoria looking for the ultimate collision avoidance technology will want to drop by Ralph’s Radio and check out the Rydeen BSS1 Blind Spot Detection System. 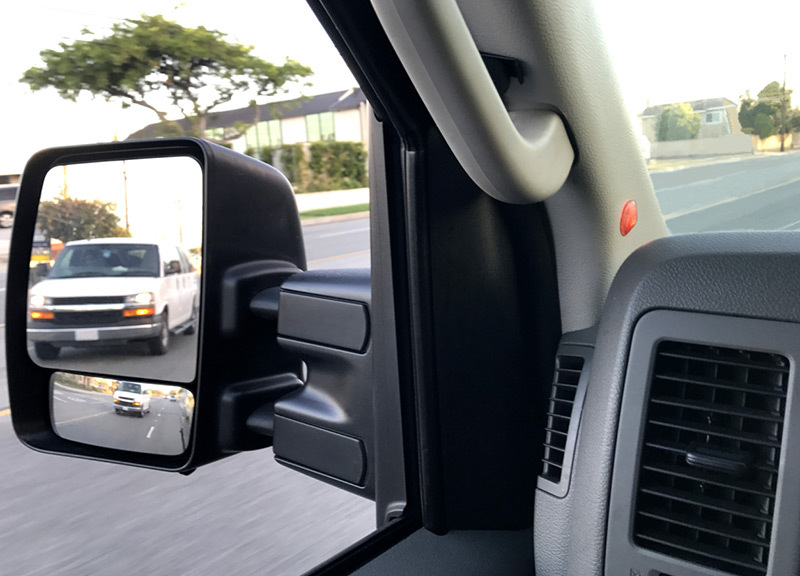 Using the same microwave technology as the factory-installed system in luxury vehicles, the BSS1 will alert drivers to the presence of a vehicle on either side of their car or SUV. Read on to find out the details of how this impressive system functions. The BSS1 system uses a pair of microwave radar transmitters to monitor the area on either side and behind the vehicle. Coverage extends out one lane from the vehicle and back several car lengths from the B-pillar. The system activates automatically once the vehicle is traveling above 35 km/h so you won’t be bombarded by warnings in parking lots. The system uses a GPS receiver to monitor vehicle speed. The BSS1 includes a pair of LED warning indicators to let you know when a vehicle is in your blind spot. In most applications, we mount these indicators in the A-pillars of your vehicle so that they are in your direct field of vision. The BSS1 integrates into the vehicle to monitor the use of turn signals. If you activate a turn signal while a vehicle is in your blind spot, the system will flash the indicator and produce a clearly audible beep to let you know not to change lanes. When you are backing up, the BSS1 converts to a cross-traffic alert system to let you know if a vehicle is approaching from either side. Rather than monitoring beside the vehicle, the microwave pattern extends to almost 30 meters to provide ample time for you to stop or complete your maneuver safely. The system will flash the LED warning indicator based on the direction from which the vehicle is approaching. Whether you drive a car or an SUV, Ralph’s Radio offers a wide variety of vehicle safety systems to help protect you and your vehicle from damage. Our team of expert installation technicians is available six days a week to integrate these products into your vehicle to ensure they operate reliably for years. Whether you are interested in the Rydeen BSS1 blind spot monitoring system, a backup camera, parking sensors or any of our safety solutions, drop by Ralph’s Radio in Vancouver or Victoria and speak to one of our product specialists. They will happily assist you in choosing the perfect solution for your vehicle. For more information, give our store nearest to you a call or send us an e-mail using our online contact page.